In the first grading period, the overall district attendance rate increased. Mission, Texas- As the 2018-2019 school year began in Mission Consolidated Independent School District (CISD), incoming superintendent, Dr. Carol G. Perez quickly zeroed in on three areas of focus for district improvement: academic achievement, attendance, and service delivery. One of these three items can impact the other two, and the district is already seeing some results. 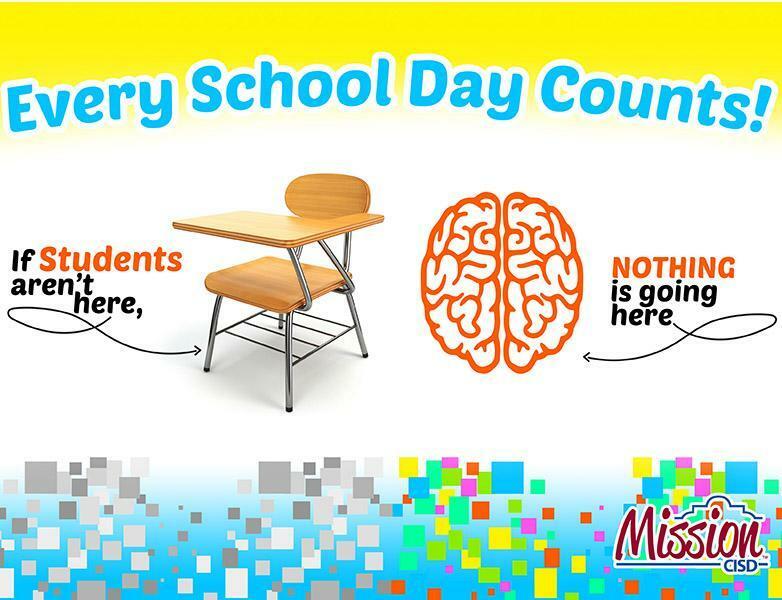 Dropping student attendance rates is a national trend, that had also been impacting Mission CISD. Had until now. 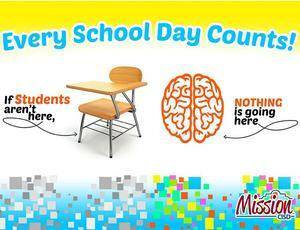 A quickly developed attendance campaign, “Every School Day Counts”, is already showing positive results. In the first grading period, the overall district attendance rate increased 1.06% over the previous period last school year. Dr. Perez said it has been exciting to see the campus teams come together on this effort. She said they are always stressing the importance of attending school each and every day, and if a student is absent, they immediately start reaching out to families to check on students. The district has also sweetened the attendance campaign pot a little. Campuses can earn bonus cash incentives if they meet certain attendance goals based on the campus (high school, junior high school, and elementary school). If the campus goals are met, the school can earn up to $4,000 for each grading period goals are met. Seventy-five percent of any incentives must be spent to benefit the students and campus. Up to 25% can be used toward staff member incentives as they play a major role in campus attendance improvements. Dr. Perez said several schools have already recorded days where they had perfect attendance as a campus: Marcell Elementary School, three days; Cavazos Elementary School, three days; Salinas Elementary School, one day.